Hereford is the main hub of Herefordshire, West Midlands, England. Known as the cathedral city and rich in history, the city maintains its quaint character while still keeping abreast in new developments. 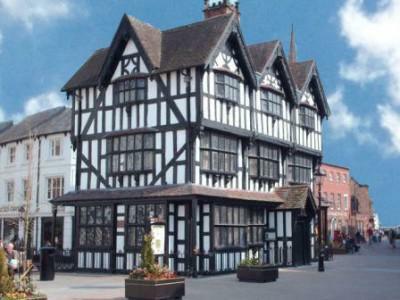 Hereford is a bustling city offering old and new, quaint and cutting edge, a place where you can loose yourself in history or shop up a storm. Hereford offers wonderful markets, festivals and events all year round. This picturesque market town is named from the Anglo Saxon ‘Here’ (army or soldiers) and ‘ford’ (a place to cross the river). The breed of cattle takes its name from here. Lying on the River Wye and in the center of Herefordshire, it’s surrounded by the beauty of the county. 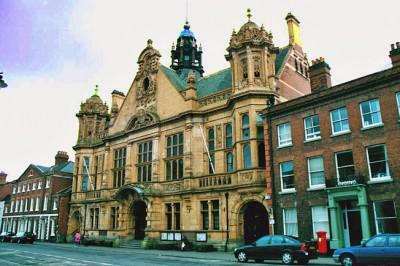 Hereford is one of only seven civil parishes in England which have city status. In 2010 the parliamentary constituency centering on the city was renamed Hereford and South Herefordshire. In 760 was the Battle of Hereford in which the Britons freed themselves from the influence of the English. This is when hostilities between the Anglo-Saxons and the Welsh came to a head. The present Hereford Cathedral dates from the 12th century. During the Wars of the Roses and the civil wars the city changed hands several times. The city has even been besieged in 1645 by a Scottish army of 14 000 under Alexander Leslie. They withdrew when they heard that a force led by King Charles was approaching. In fact King Charles later augmented the city’s coat of arms with the three lions of Richard 1 of England, ten Scottish Saltires signifying the ten defeated Scottish regiments and a very rare lion crest on top of the coat of arms signifying ‘defender of the faith’ and the even more rare gold-barred peer’s helm found only on the arms of one other municipal authority, namely those of the City of London. The climate in Hereford is said to have a moderate rainfall throughout the year and limited seasonal temperature ranges. Farming has played a major part in the history of Herefordshire with Hereford playing host to the Cattle Market and including the famous Hereford breed. Also, cider, beer and poultry (among other products) are from Hereford. It has a relaxing shopping environment where pedestrians have ample space to walk with ease. Worth visiting is the Hereford Cathedral housing the Mappa Mundi and renowned Chained Library. Of course the finest Herefordshire beef is also worth tasting if you love meat and then you may also need to sample a cider. After visiting the Hereford Cathedral it is also worthwhile visiting the Old House. Also, be sure to check out the small retro shops arcade next to the police station and the sweet shops in the centre of the town. Hereford serves as a great base for the annual Literary Festival in nearby Hay-on-Wye. A visit to the cider museum reminds us that Herefordis home to the largest cider maker in the world, add to this The Waterworks Museum and the Courtyard Centre for the Arts or just stroll across the medieval bridge over the River Wye on a lovely summer day. Hereford retains much of its rich history – there are stories from locals that accompany every stone, brick and oak frame of the buildings in the city. 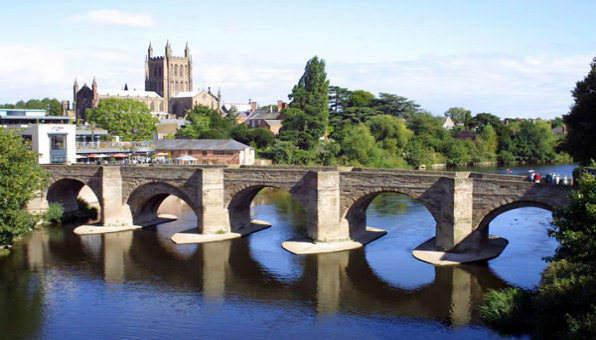 You will no doubt find much that will entertain and inspire you as you explore Hereford and Herefordshire. There are five direct trains from London to Hereford. Trains link Hereford with the towns of Ledbury and Leominster, and other towns such as Ludlow and Abergavenny. Other places may be reached conveniently by bus. The Hereford Tourist Information Centre may be reached on 01432 268430.